Filmmaker James Gunn has confirmed there will be a 'Guardians of the Galaxy 3' "for sure"
James Gunn has confirmed plans for 'Guardians of the Galaxy 3'. 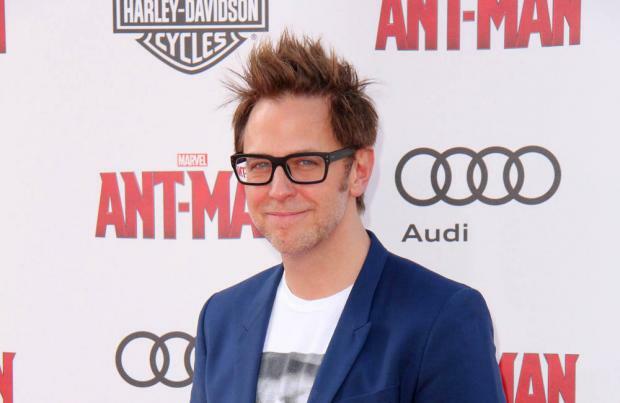 The 46-year-old American screenwriter, director and producer is busy promoting his upcoming horror film 'The Belko Experiment' - a film penned by himself - and has just put the finishing touches to the eagerly anticipated 'Guardians of the Galaxy Vol. 2' which will hit cinemas in May. Gunn - who has directed and written both 'Guardians...' films - has spilled that there will be third outing for Chris Pratt and co. In an interview with Complex, Gunn was asked whether there was any plans for 'Guardians of the Galaxy 3', to which he replied: "There will be a 'Guardians 3', that's for sure. We're trying to figure it out. I'm trying to figure out what I want to do really, that's all it is. I got to figure out where I want to be, what I want to spend the next three years of my life doing. You know, I'm going to make another big movie; is it the Guardians or something else? I'm just going to figure it out over the next couple of weeks." Before the plot of the third film is even figured out, fans are keen to see what happens in the sequel - which sees the return of Pratt as Star Lord Peter Quill, Vin Diesel as the voice of Baby Groot, Bradley Cooper as the voice of Rocket, Zoe Saldana as Gamora, Dave Bautista as Drax the Destroyer and Karen Gillan as Nebula. But Gunn is remaining tight-lipped of the story, teasing: "It's a very self-enclosed story, so I deal with the Marvel guys every day on where we're going forward, but basically the story of 'Vol. 2' is about the Guardians and it has no connection to the rest of the Marvel Cinematic Universe and none were ever mandated. So where it ends up is what anybody would have to deal with after that." He said that one of the biggest misconceptions about working within the MCU is that people "overestimate" the amount of overall planning but in fact, he found the project his most rewarding to-date. He said: "At the end of the day, we're telling a long-form story that has many different moving parts and within those stories there's a lot of freedom to do what you want. And I've been lucky in that the most creatively fulfilling freeing experience I've ever had making a film has been on 'Guardians of the Galaxy Vol. 2' - without a doubt. Because at the end of the day any choice was mine, if there's ever a disagreement we go in my direction. The entire story was written by me alone in a room back in August 2014, and it stayed that way from the very beginning." The returning cast are also joined by newcomers Kurt Russell - who plays Quill's father Ego - and Sylvester Stallone, who has an as-yet unknown role.